Jaffna District MP, Mathiaparanam Abraham Sumanthiran waxed eloquent during the course of the adjournment debate in Parliament on June 6th 2017. 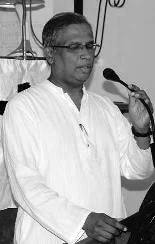 M. A. Sumanthiran who is also the official spokesperson of the Tamil National Alliance(TNA) and its premier constituent, the Ilankai Thamil Arasuk Katchi (ITAK) emphasised that they stood “for a country that is not divided, a country in which all the peoples will be proud of their equal status to live without discrimination or fear”. Speaking further Sumanthiran lamented the fact that there was much discrimination along ethnic lines in many spheres in the country. He pointed out that there was discrimination even in the matter of taking action to ensure justice for journalists victimised in the past. The TNA Parliamentarian who is also a lawyer touched upon the issue of attacks on journalists in this regard and stressed that there was discrimination in addressing such matters too. “Even in taking action, there is blatant discrimination. We commend you for taking action in the case of Prageeth Eknaligoda; in the case of Lasantha Wickramatunga, but there was a course of Tamil journalists who were killed. Why has the Government not moved one finger in respect of one of those assassinations? Why? Are Tamil journalists any less citizens of this country than Sinhala journalists? Is that your view? You do not have to answer that. It is blatantly obvious what your view is, when you do not do what you are supposed to do; when you do not do the right thing for certain sections of the community, but rush to do other things”. The question of media freedom and the safety and security of journalists in Sri Lanka has been keenly debated in the past. The situation eased somewhat after the war against the Liberation Tigers of Tamil Eelam(LTTE) ended in May 2009. Fresh winds of hope and optimism blew after the advent of the Sirisena-Wickremesinghe Government in 2015. A government which pledged “Yahapalanaya -Nallaatchi-Good Governance” took office. Among the positive features of the new govt was the effort taken to probe at least some of the cases where journalists were affected. Media rights organizations have recorded several instances of media employees (Both full time and part time) being killed, ,injured, assaulted, abducted and/or made to disappear during the years between 1999 to 2011. Among such recorded incidents are the deaths of 25 journalists. An ethnic breakdown of the 25 journalists killed are Eighteen Tamils, Six Sinhalese and One Muslim. 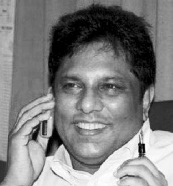 The most prominent among the journalists killed was my friend and colleague,Lasantha Wickrematunga the founder-editor of “The Sunday Leader”. He was gruesomely murdered on a public road in Ratmalama while on his way to work. The Sirisena- Wickremesinghe Govt to its credit has initiated fresh probes into the assassination of Lasantha Wickrematunga. Action is also being taken to seriously investigate some other incidents like the enforced disappearance of Freelance journalist and cartoonist Prageeth Eknaligoda, abduction and torture of the “Nation”deputy – editor Keith Noyahr and assault of “Rivira” editor Upali Tennekoon. Some forward movement of a positive nature has been recorded in these investigations so far. What the final outcome would be is something which still remains in the realm of the unknown. While the action being taken in these instances are indeed commendable one is also struck by the fact that apart from the Lasantha assassination, very little or practically no action has been taken in the cases where journalists have been killed. It may not be entirely a coincidence that most of the journalists killed are by ethnicity -Tamils. This gives rise to an impression that the absence of positive action in these matters is due to discrimination on ethnic grounds. This opinion was articulated strongly by Sumanthiran in Parliament last Tuesday. It is against this backdrop that this column intends to focus this week on the assassination of a journalist 13 years ago. 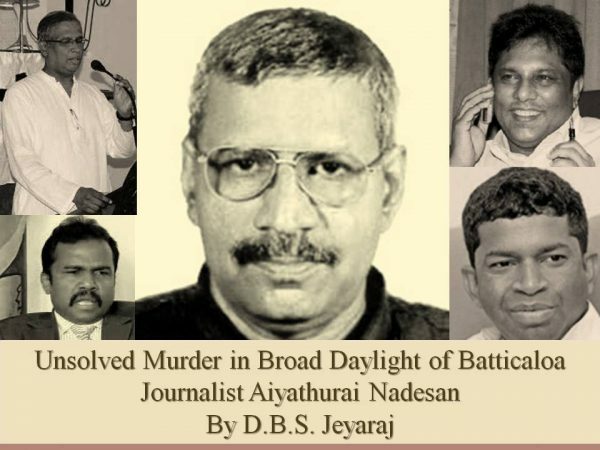 Aiyathurai Nadesan serving as Batticaloa correspondent of the Tamil daily ”Virakesari” was shot dead in broad daylight in the heart of Batticaloa town on May 31st 2004. No concrete action has been taken to even investigate the murder so far. Nadesan was a friend whom I had known for about 26 years. I have written about Nadesan’s assassination when he was killed. I shall however re-visit Nadesan’s killing with the intention of drawing attention to an unsolved murder of a journalist and friend. The death of any member of the journalistic fraternity is distressing. More so when a scribe is gunned down in broad daylight by ‘unknown’ assassins for the ‘crime’ of writing something that displeases people with pretensions of power.The sadness is even more acute when the journalist was some one known to you for more than 25 years and had been immensely helpful as a source of accurate news and stimulating views. Aiyathurai Nadesan was shot dead on May 31st 2004 at about 9:35 a.m. in Batticaloa. He was riding his motor cycle to work when the assailants shot him dead at point blank range on Boundary Road. Leaving his home on Lake Road, Batticaloa at 9:20 a.m. Nadesan had followed his usual practice of picking up his Virakesari copy from the boutique next to the Virakesari office on Central Road. Nadesan though a journalist worked as an income tax assessor too, He was going along Boundary Road and nearing his Bar Road office when the assassins struck. Two men on a blue motor cycle — both wearing helmets — were the killers. At least four shots were fired at point blank range from a 9 mm. Two hit Nadesan’s shoulder and chest. One struck his hand. The killers whizzed away. There were many witnesses but none came forward to give evidence to the police. Nadesan’s bike knocked against a concrete lamp post and he was thrown off. Nadesan fell into a drain. The fall had resulted in his ribs getting fractured. He lay bleeding about 200 yards away from his workplace on Bar Road and died at the spot after a while.The Bar Road-Boundary Road area is a very busy place in the morning. Many people saw Nadesan lying in the drain for a long time. Yet no one came to his aid. Such was the state of fear in Batticaloa, that people were scared to display even the most basic human tendencies at times like these. The people of Batticaloa were in the grip of two contending “terrorist” forces at that time. The clash for supremacy between the mainstream Liberation Tigers of Tamil Eelam (LTTE) and the Batticaloa – Amparai dissident faction led by ex-tiger eastern commander Vinayagamoorthy Muralitharan alias “Col” Karuna had led to a situation where lives were being snuffed out without restraint. People were afraid to talk freely as they did not know who supports Pirapaharan and who supports Karuna. 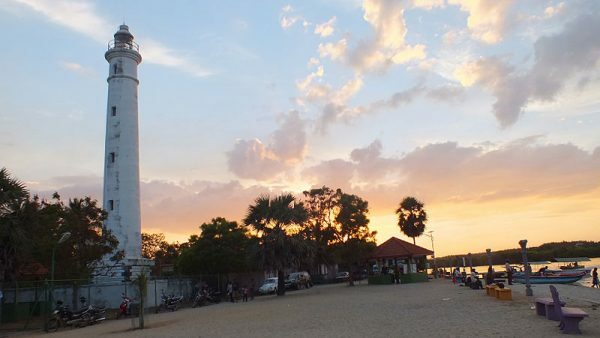 It was left to a fellow journalist, Thurairatnam and the TELO Batticaloa Organiser Prasanna to go to the spot, examine the body of the lifeless, Nadesan and alert the authorities. The then Batticaloa Magistrate M. Ajmeer went to the place at about 11. am and ordered that the body be taken to the hospital and handed over to the family after an inquest. This then was the sad tale of Nadesan’s demise. Though a resident of Batticaloa for nearly 20 years, Nadesan was not an easterner. His wife Gowri was from Batticaloa. 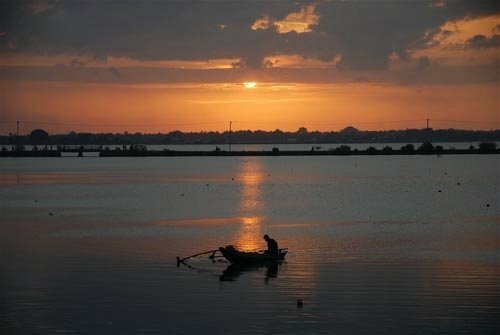 Nadesan however had adopted Batticaloa as his native place and integrated himself with the region. He spotlighted the problems facing the people aptly. He was easily one of the best Tamil media journalists in the country at the time of his death. The 49 year old scribe hailed from Nelliaddy, Karaveddy in Jaffna.My mother’s village Kaddaively (Thunnalai south,Karaveddy) was adjacent to it. Nadesan’s father Aiyathurai was a cooperative inspector with an impeccable reputation for honesty and integrity. Nadesan’s house was on Chettitharai lane between Nelliaddy Central College and the Vathiri road junction.Conforming to the practice adopted by many artistes and writers of adding their village name as a prefix Nadesan too used the condensed version of Nelliaddy “Nellai” before his name. It was as “Nellai Nades” that he wrote articles, short stories and poems during his school and undergraduate days. When I first met him in 1977 while working at the Virakesari, he was known as Nellai Nades. Nadesan used to drop in frequently to meet the then Virakesari news editor S. Nadarajah who was also from Anaipanthy in Nelliaddy. 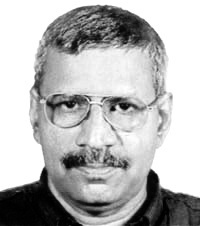 Later as a journalist, he used the by- line G. Nadesan. The ‘G’ denoted his wife Gowri. Technically Nadesan was not a full time journalist. He was an income tax assessor by profession. He was a part time journalist but in practical terms the part time was full time. He was the Batticaloa correspondent for the Virakesari and also for ‘Shakthi’ TV and Radio. He also worked for the London based International Broadcasting Corporation. Given the volume and scope of his journalism, one could safely say that Nadesan was far more productive than most full time journalists in the Tamil media those days. After obtaining a degree in business administration, Nadesan became a teacher for a while. Later he joined the Inland Revenue Department as a clerk and subsequently became an assessor. He used to write articles as a free-lance contributor to the Virakesari under his pen name “Nellai Nades” He later became the Virakesari’s Batticaloa correspondent. Nadesan married in Batticaloa and settled down there. The “Nellai” gave way to ‘G’ (Gowri). They had four children, two boys and two girls. The news of a Virakesari Batticaloa correspondent being killed in the line of duty was and is of poignant impact to me. One of the happiest and challenging periods of life for me as a journalist on the Virakesari was when I worked as Batticaloa staff correspondent for three months in 1977. (June and Nov – Dec). The Virakesari then had a brilliant journalist, V.S. Kathirgamathamby as Batticaloa correspondent. I had to replace him twice on a temporary basis then. After Kathirgamathamby retired another close friend, Nithianandan became B’caloa correspondent of the Virakesari. Nithy, an ardent Tamil nationalist got too involved with the LTTE. During the time of the IPKF, Nithy was viciously stabbed by some members of the pro-IPKF group, the EPRLF. Then Indian envoy J.N. Dixit arranged for immediate air lifting of Nithy to Colombo for urgent medical treatment at the request of Nithy’s journalist friends then. After recovering Nithy worked in the Colombo Virakesari office. When the Indian army left he returned to Batticaloa and joined the Tigers as a full time member. He was later ambushed and killed by the Sri Lankan army. Nadesan became the acting and later permanent B’caloa correspondent after Nithy. Though the police said that they have no idea who Nadesan’s killers were, the people of Batticaloa knew fully well who they were. It was an open secret in Batticaloa that the killing was carried out by members of renegade leader “Col” Karuna’s faction known as “Batticaloa-Amparai Liberation Tigers.” Subsequently they formed a new politico-military organization called “Thamil Makkal Viduthalaip Puligal” (Tami Peoples Liberation Tigers). When Nadesan was killed the Batticaloa grapevine hummed that the assassin who was seated on the pillion and fired the shots was none other than “Pillaiyan”. Sivanesathurai Chandrakanthan alias Pillaiyan later made history as the first ever chief minister of the Eastern province serving from 2008 to 2012. He is currently in detention as a suspect in the 2005 assassination of former TNA Parliamentarian Joseph Pararajasingham. After killing Nadesan the Karuna faction of the LTTE tried to justify it by accusing him of being a Prabhakaran loyalist. The mainstream LTTE on the other hand tried to derive propaganda mileage by claiming him as one of their own. Though a Tamil nationalist in the ’70s and ’80s of the last century , Nadesan was more of a leftist than an ethno – populist. When Tamil militancy grew, Nades was more aligned with the Eelam People’s Revolutionary Liberation Front (EPRLF) than the LTTE. Nades was closely associated with former EPRLF Northeastern Chief Minister Annamalai Varadarajaperumal.Nades and Varathan had been contemporaries at the Jaffna University and had also taught together at a Nelliaddy tutory later. 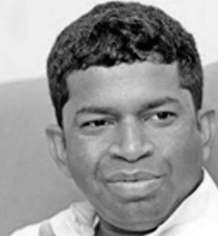 When the northeast provincial council was formed Nadesan got himself seconded from government service and got appointed as Varatharajaperumal’s press officer. I think his official title was ‘information officer.’ Ironically Nades was also an unofficial censor when the North -Eastern provincial council was in existence..
Nadesan discharged his duties efficiently. With the LTTE threatening the Tamil media on the one hand, it was a formidable task to project the northeast provincial council activities in a favourable light. Nades did so, often exerting ‘pressure’ on editors and management personnel. One editor told me how Nades would often utter veiled threats in order to get pro-EPRLF news published. When the council was dissolved in 1990 and the bulk of EPRLF including Perumal fled from Sri Lanka, Nades did not follow suit. He opted to take his chances with the LTTE rather than fleeing the country to India. Nades was arrested as a ‘traitor’ by the LTTE and detained in a bunker prison. He was subjected to physical and mental torture. Nadesan’s stand was that he was only an employee of the northeast council, doing his duty. Finally, Nadesan’s brother Sivanathan, a prosperous mill owner had to pay a hefty donation to secure his release. The LTTE that detained Nadesan as a traitor may very well have killed him in captivity like many others if not for the money being paid. After Nadesan was killed the same LTTE started showering patriotic titles and organising condolence meetings and protest demonstrations in his memory. This was reminiscent of how the Tigers treated former Tamil United Liberation Front President Murugesu Sivasithamparam. In 1989 the LTTE tried to kill him as a ‘traitor.’ In 2002 when Sivasithamparam died of natural causes he was honoured by the Tigers. As a journalist living in Canada and writing about Sri Lanka, I kept in touch with Nadesan on the phone for several years. He was a reliable source of information about events in the east. Though he espoused a strong Tamil nationalist line he was by no means a Tiger acolyte. Nevertheless he had to adopt a ‘safe’ course. Often he would tell me of happenings which he himself could never report in Sri Lanka. What he wrote in print and what he said on the phone were sometimes different. “We can’t write the whole truth. At least you do something,” he would say. This was a tremendous existential problem encountered by Tamil journalists in the northeast. Having worked as provincial correspondent for the Virakesari both in Jaffna and in Batticaloa, I know only too well the pressures on the outstation correspondent. Later on , the war situation imposed an immense burden on these poor souls. Even the brief interludes of fragile peace during the years of war did not bring any relief to the scribes in the northeast. In that context one is fully aware of the difficulties faced by Batticaloa based journalists like Nadesan, Uthayakumar and Thurairatnam in those days. To strike a personal note, I have in the past faced several problems at the hands of the LTTE in Canada. I have been assaulted and had my limbs broken; the newspaper I ran had to close down because the Tigers intimidated shop owners and advertisers. Threats over the telephone were a regular feature. Scurrilous leaflets were often distributed. Anonymous letters in foul language threatening death would often be posted. Tiger media organs continued to portray me as a traitor and assassinate my character. Yet I was still able to criticise the LTTE whenever and whereever necessary because I was not living in northeast Sri Lanka then. The scribes living in the North -east had to face this LTTE pressure in those days. There was also pressure from the armed forces and even other non-Tiger Tamil groups. However the biggest threat was the LTTE and almost all Tamil newspapers in Sri Lanka toed a pro-Tiger line then. While Tamil nationalism is the staple sustenance of the Tamil media, the LTTE factor brought about a qualitatively destructive change then. Against this backdrop one would hesitate to judge journalists in Nadesan’s position without having walked in their shoes. Unlike some ‘bluff masters’ who plugged a Tiger line and peddled fantastic bits of propaganda to any buyer, ranging from intelligence agencies to the BBC, Nadesan had striven to present a correct picture of developments as far as possible. I often listened to his reports in the London based pro-LTTE IBC radio. I also read his Virakesari Sunday column regularly. The pro – Karuna website “Neruppu” which scooped the Nadesan killing described Nades as a “Wannippulippathirigaiyaalar” ( journalist of the Wanni Tigers). Tarnishing a dead man’s name to justify a dastardly killing is a typical Tiger trait. The Karuna faction was no doubt adhering to its roots in this matter. The brutal assassinations of perceived dissidents and critics by both the mainstream and rebel groups indicated that in the final analysis both tiger factions were “paasisappuligal” (Fascist Tigers) and nothing else. The Prabhakaran led LTTE began capitalising on Nadesan’s death. The Tigers organised a worldwide campaign condemning and mourning Nadesan’s death to obtain political mileage.A team of Tigers led by Senathi went to the funeral house and wrapped a Tiger flag around the body. Nadesan’s sister objected. The flag was removed.Later Nadesan’s body was taken to the northern province for cremation at the Aalankatti cemetery in Vathiri.The LTTE took over the funeral arrangements. Homage ceremonies were organised in Vavuniya, Kilinochchi, Jaffna and Karaveddy. Nadesan’s body, now wrapped in a Tiger flag lay in state for people to pay their respects. The LTTE orchestrated large crowds of mourners.Leading LTTE figures spoke at the various ceremonies as well as the funeral itself.The LTTE organised a massive demonstration and hartal in the northeast to condemn the killing. Almost all the Tiger media started lamenting Nadesan’s loss ad nauseam. Tiger media organs devoted much time and space to Nadesan.In typical Tiger fashion, fund raising in his memory commenced overseas. Fund raising to the LTTE was like a fire hydrant to a mongrel. The LTTE Leader Prabhakaran conferred upon Nadesan the posthumous title “Naatruppattraalar” (Patriot). This is a second class honour bestowed upon people who have supported or assisted the LTTE. First class honour is the “Maamanithan” (great human) title. “Taraki”Sivaram was made a “Maamanithar”. By this action uf dubbing Nadesan a patriot the LTTE tried to show the world that he was one of theirs.